Stability is an important and valuable quality in a country, except when it isn’t. Stable countries promote peace, development and freedom, except when they don’t. How do we know whether they do or don’t? By believing what the US State Department tells us, that’s how. Good news from Egypt – the dictatorship of Hosni Mubarak is stable, according to Hillary Clinton. Despite the courage of tens of thousands – possibly as many as 750,000 across the country according to some reports – of ordinary Egyptians in taking to the streets to protest against the brutality, corruption and grinding poverty brought by the Mubarak regime, thank God they are doomed to failure! No threat of unpredictable democracy coming to this strategically crucial country (Arabs being, after all, unfit for democracy). No danger of the US losing one of their most important client thugs in the region. Who apparently, also according to Clinton, is eagerly looking for ways of benefiting the people he has held down and preyed upon for the past nearly 30 years. So clearly stability is important in Egypt. Where is it not important? Where is instability desirable and needing to be promoted? Why, in Belarus, of course. One doesn’t hear much about Belarus these days. What is reported is usually some variant along the theme that President Alexander Lukashenko is nasty autocrat, indeed dubbed ‘Europe’s last dictator,’ who perversely and resolutely refuses to follow the script we have prepared for the post-Soviet republics. The current controversy centers around the recent election which saw a turnout reported in excess of 90%, with Lukashenko receiving 79% of the vote. Protesters tried to storm the Parliament. The police responded in force and hundreds were arrested. Eurocrats–excluded from monitoring the process-dismissed it as ‘flawed.’ The fact is that Lukashenko does not pretty-up well. And he does not care. So, now we know that there will be no banditry in Egypt (thank Mubarak), but it’s such a pity that there won’t be banditry in Belarus. And the “orange shift” in Tunisia was doubtless a mistake. Tunisia stands at number 143 out of 179 countries when it comes to freedom of the press. It’s a place, where, according to a 2008 Amnesty International report, human rights abuses by its security forces ‘continue unabated and are committed with impunity’. Yet if you’ve been living in the west, and getting your news from the mainstream media, you’ll have been cheerfully oblivious to all the nasty, undemocratic things that were going on in the northernmost country in Africa, a country that many of us have visited for beach holidays in Hammamet and Jerba. That Bulgarian joke, as told by Maria Todorova in the Guardian and now doing the rounds across eastern Europe, doesn’t work here in Minsk. This is a capital city where the streets are safe and clean, where ordinary people can still afford to buy medicine and basic foodstuffs and where the unemployment rate is less than 1 per cent. It’s the side of Belarus you won’t read much about. And let’s not confuse the issue still further by talking about Venezuela. When Barack Obama became president of the US, some of us hoped that among the changes we were urged to believe in would be the US abandoning its role as self-appointed bully of the world. But it seems that this was a change we could not believe in. The Director of the FBI, Robert Mueller, is equally convinced. Indeed, such is his fury at the release of al-Megrahi, that he wrote a letter to the man who set him free, Scottish justice minister, Kenny MacAskill, in such vitriolic terms it is a wonder it did not spontaneously burst into flames when exposed to the open air. There can seldom have been such a missive sent from the security services of one country to a its friendliest and longest standing ally. He described the decision to release al-Meghrahi as making a “mockery of the rule of law”. Perhaps he should ask where the justice was when William C Rogers did not spend any time in jail at all. Doesn’t that make a mockery of the grief of the families that lost their own on 3 July 1988, just six months before the Lockerbie crash? Are there no limits to US hypocrisy and bullying? 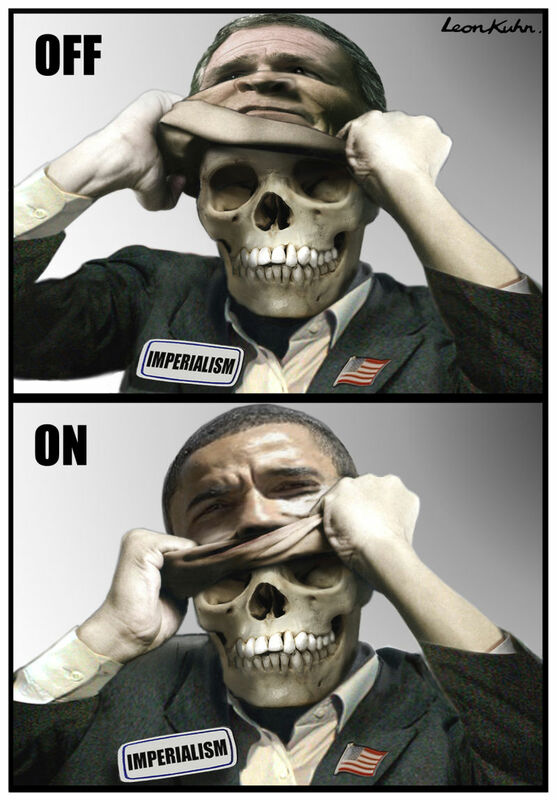 US imperialism has created the worst of all worlds, says the Anglican Archbishop of Canterbury. in a way that is worse than Britain during its imperial heyday.